This light and versatile model can become a Tablet or an ultra book depending on what you need to do. It’s been more than a year since Lenovo released their IdeaPad Yoga series, with one 11-inch and one 13-inch model, and now the most advanced model of the series is here, designed for users who want something more: the Lenovo ThinkPad Yoga 12, a 12.2-inch model with resolutions ranging from 1366 x 768 to 1920 x 1080, both with IPS panels, Gorilla Glass and multi-touch functionality. The hinges can be moved in 360-degree angles so it becomes a Tablet and the keyboard is hidden so you don’t press keys by accident in this mode. It features 4th-generation Intel Core Haswell processors, you can choose between the Core i3, i5 or i7, up to 8 GB of RAM, NFC connectivity, 1 TB HDD or 256 GB SSD, Dolby Home Theater v4 speakers, two USB 3.0 ports and mini-HDMI outputs, so nothing’s missing. It weights up to 1.58 Kg and it’s 19 mm in the widest part. It’s expected to hit the market on November and it will cost around 950 USD for US customers. The new high-resolution UltraBook from ASUS features Gorilla Glass 3 crystal screen, which makes it practically impossible to scratch. Two days ago, we talked about the newest ASUS Ultrabook, the ZenBook UX301, an amazing 13.3-inch device and a 2560 x 1440 resolution. It features an Intel Core Haswell i7-4558U processor and both an Iris Pro 5100 and Nvidia’s GeForce GT 730M, which make this light and slim model surprisingly powerful for its looks. The characteristic aluminum-made from ASUS is impeccable as always, and like we said it now features ultra resistant Gorilla Glass 3, both in the rear and the frontal parts of the screen, and in the white model even the keyboard by this material. According to ASUS, scratching the screen is completely impossible. It’s not the first time such a rumor is heard, and now it’s back. The change the rumors talk about now, however, is slightly similar. According to the rumor, AMD surveyed the users a few months ago asking for suggestions the new name of their GPUs. Radeon Rx 200 was one of the names suggested in the survey and supposedly the winner of the poll of the Sunnyvale Company. The new computer integrated within the screen has components comparable to those of a high-end gaming laptop. We could take a quick look at it at the CeBIT 2013 although the final specs are different from the model we saw back then. This version called the MSI AG2712A keeps the 27-inch 1920 x 1080 screen and a touch panel with 10 detection points. 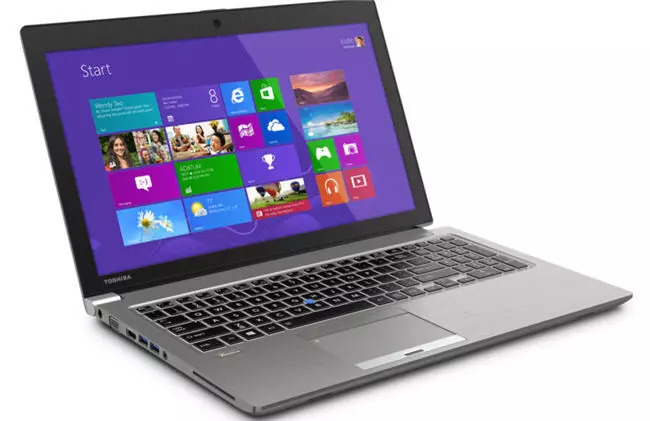 It has a quad-core Intel Core i7-3630QM processor at 3.4 GHz, four DDR3 RAM slots at 1333 MHz with a max of 16 GB. The GPU is the greatest improvement; back at the CeBIT we saw an MSI AG2712 with an Nvidia GeForce GTX 670MX, and the official model will instead feature the AMD Radeon HD 8970M with 2 GB of GDDR5 memory, AMD’s most powerful GPU as of now. This USB 3.0 device can connect to any computer and grant it NFC connectivity. NFC connectivity is becoming more common every day, especially in mid-level and high-end smart phones; many devices, like TVs, controllers and other compatible peripherals also exist, and you can also use NFC tags to recognize and locate your devices. ASUS has presented the NFC Express, a device that can be connected to any computer via a USB 3.0 port (includes a hub with other two USB 3.0 ports) and gives NFC connectivity to it, allowing us to, for example, instantly connect our smart phone to the computer to transfer files and pictures, as well as connect Wi-Fi devices simply by getting it near the receptor. The NFC Express is also sold on its own, but the official release price is still unknown. The ASUS Z87-DUAL and ASUS Z87-DELUXE motherboards include it by default. You can also create an NFC keychain and use it to login into your computer remotely, simply synchronizing it with the device. You can get it in Europe for less than 700 dollars, which isn’t exactly cheap, but a lot less than its old price of 1000 dollars. With the new drivers ready and a significantly lower price, this high-end graphics card is without a doubt the most interesting in the market, thanks to its price/performance ratio. It got a price cut because probably didn’t sell well, or maybe AMD is trying to clear the stock for the upcoming October release of their new GPUs, which will come along a vast array of new features (or at least that’s what we’re hoping). The link already shows one of the cards that got a price cut, and surely other similar stores will soon follow. Lian Li introduces the new PC-10N. A nice compact model, with some great ideas for cooling and managing our components in the best way possible. Materials and format with the quality you already know. The new PC-10N is a mid-tower case for ATX or lower systems. Its body is completely aluminum-made, and its classic design is available in black and silver. With this model, Lina LI has included a few new features in the internal design. 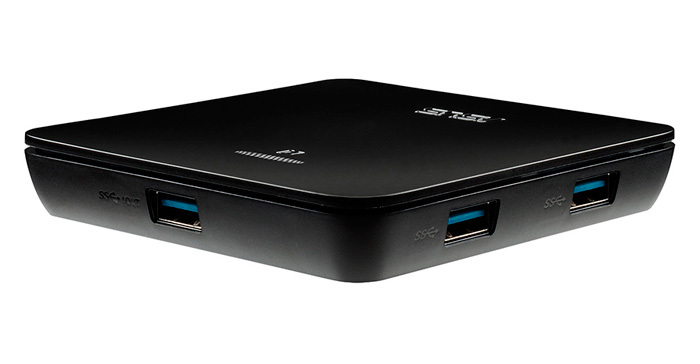 Its classic design houses three 5.25-inch external drive bays. Lian Li improves the air cooling with two 120-mm frontal fans and one 120-mm rear fan, plus some interestingly placed 240-mm radiators. They’re located right next to the CPU zone, with a hinge system that makes installing and removing components quick and easy.